Debunking Bankruptcy Myths: Part 1 is the beginning of a series offering facts about bankruptcy. People often forget that bankruptcy is a legal process, which means that it is complex and full of intricate details. For this reason, most people know very little about the process or how the laws work in their state. 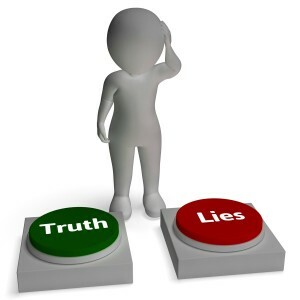 A lack of understanding and knowledge often lead to inaccuracies and myths that people believe as truth. It is important to clear up any misconceptions about such an important financial tool for anyone that could be suffering under unavoidable debt burdens. When you file for bankruptcy there is no loud call to alarm your friends, family or employer. Your name won’t be read on a loud speaker and your privacy is protected by your Houston bankruptcy lawyer. It is unlikely anyone would find out about your filing unless you told them yourself. The only notification given regarding your bankruptcy filing is the Automatic Stay notice sent to your creditors informing them of your case. This notification is to prohibit any future collection actions against you and cease all communications from your creditor to you unless mediated with your lawyer present. If your employer was already garnishing your wages as a result of a lien or collection order issued by a prior judge to collect on a debt or payment owed, then your employer would also receive this notification. However, remember that this is only in a small fraction of cases in which someone was already being sued and an employer responsible for taking wages out of a paycheck. This would not likely have any negative impact on your job or future at a company. The bottom line is that your bankruptcy filing is going to benefit you by resolving your debt obligations and terminate harassing calls from creditors. It will also put you back on a path to financial footing, leaving your family free of debt burdens that are dragging you down. Fewer debt problems means more security in protecting and providing for your family. When you file for bankruptcy your property and assets become part of your bankruptcy “estate”, meaning a pot of items and funds that could be used to satisfy debts in some circumstances. However, this does not mean you will lose everything. There are both federal and state level bankruptcy exemptions laws regarding your property. Texas, in fact, is one of the most generous states in offering a greater level of asset protection than other states and even under federal laws. Exemptions laws outline that any property that is considered “nonexempt” may be used by the Trustee to satisfy a debt obligation in a Chapter 7 case. “Nonexempt” property usually refers to unnecessary items not essential for meeting your daily needs like a recreational boat or your third 52″ plasma tv. It is also important to note that none of your property is at risk if you file a Chapter 13 bankruptcy, which works to resolve your debts through a series of payments rather than liquidating any nonexempt assets. Knowing how to navigate the exemptions laws is essential in protecting your property.